Open Call for Video Artist in the Continent and Diaspora!! The Boda-Boda Lounge Project is a cross-continental video festival that will feature at over 15 spaces throughout Africa. 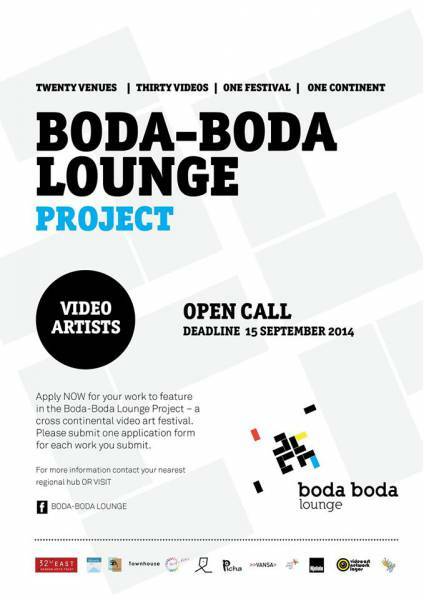 Boda- Boda Lounge Project is currently accepting video art submissions from artists based in Africa and of African descent. Relevant submissions will be put forward for intercontinental screening and exhibition programming. The works will travel through the many venues during selection period, where each hosting hub nominated jury will do a final selection for the exhibition.